KANSAS CITY, Mo. 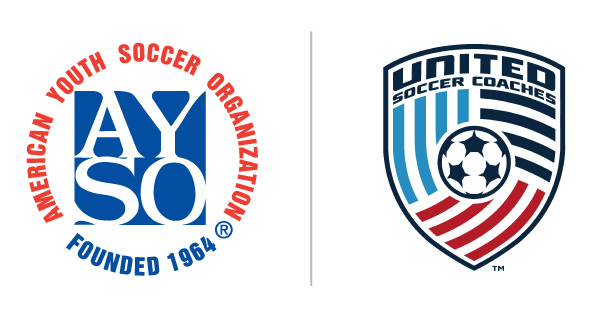 (June 15) — The American Youth Soccer Organization (AYSO) and United Soccer Coaches have announced a new Education Partnership that includes endorsement between the two organizations’ coaching education pathways. “AYSO has developed a highly effective internal coaching education program that is as good as any in the nation,” said Ian Barker, Director of Coaching Education for United Soccer Coaches. “AYSO coaches will now have the opportunity to move directly from the AYSO pathway into United Soccer Coaches pre-National and National courses to pursue continuous coaching education. The partnership includes coaching certification reciprocity, AYSO field and lecture sessions at the United Soccer Coaches Convention, Jan. 9-13, 2019 in Chicago, Ill. Additionally, the AYSO United club program Directors of Coaching will participate in United Soccer Coaches’ popular DOC Diploma Course that runs in multiple locations across the country. Founded in 1941 and headquartered in Kansas City, Mo., United Soccer Coaches is the trusted and unifying voice, advocate and partner for coaches at all levels of the game. The association provides programs and services that enhance, encourage and contribute to the development and recognition of soccer coaches, their players and the game we love. To learn more, visit UnitedSoccerCoaches.org.